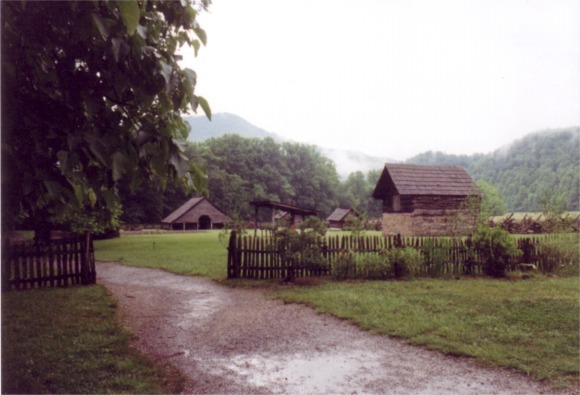 We began our trip at Smokey Mountain National Park. 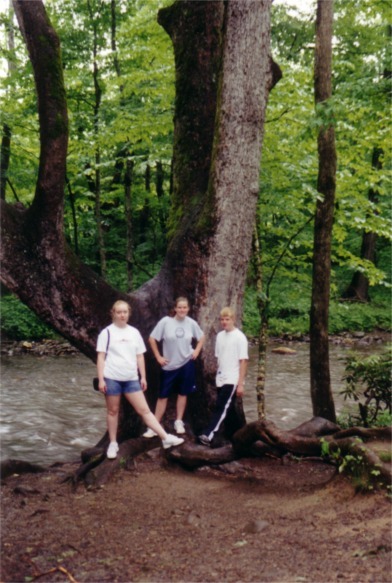 Here are Sarah, Abby and Lee posing in front of a huge tree. 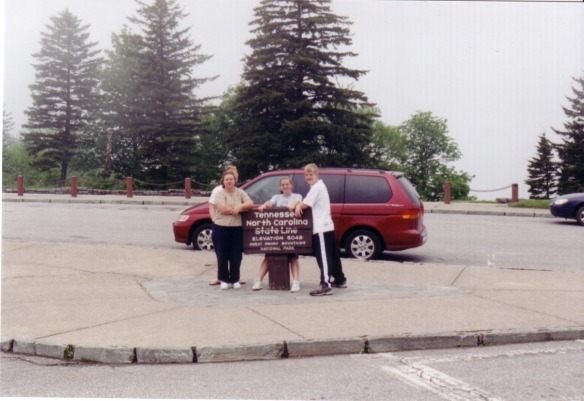 Here they straddle the state line. 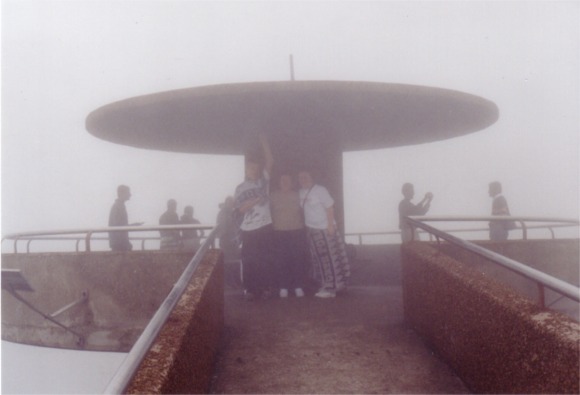 We walked the hard trail to the top of Clingman's dome. You can see that it's very foggy. Here's a replication of an 19th century farmhouse, with all it's outbuildings. 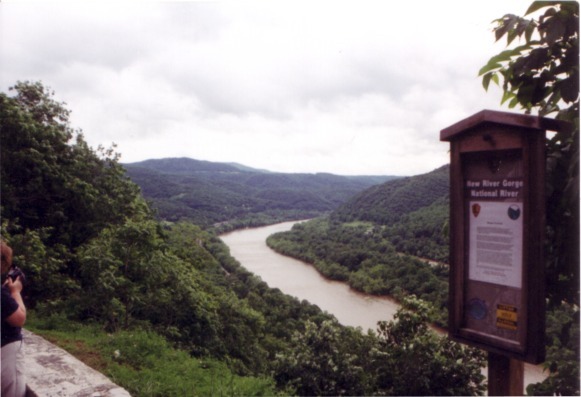 The next day, we traveled to New River National River in West Virginia. 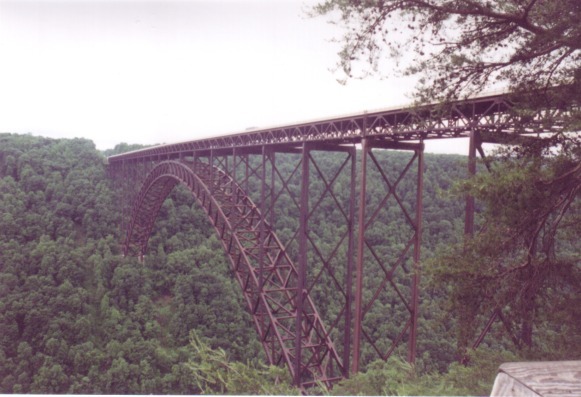 Below is the bridge crossing the gorge. 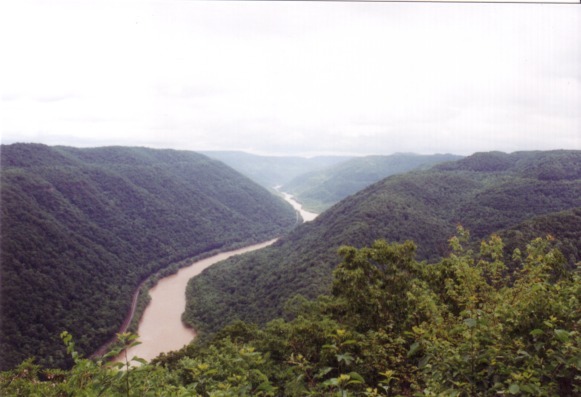 Here is the view down the river's valley. 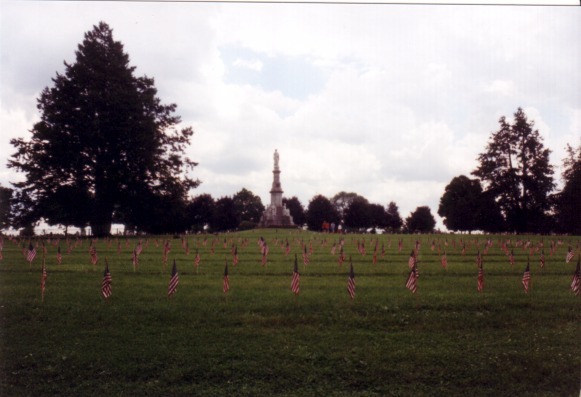 Next, we went to Gettysburg, Pa. I didn't get many good pictures here. 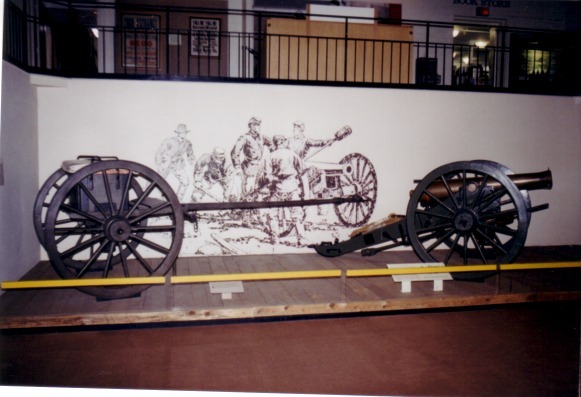 Here are a couple of canons in the museum. 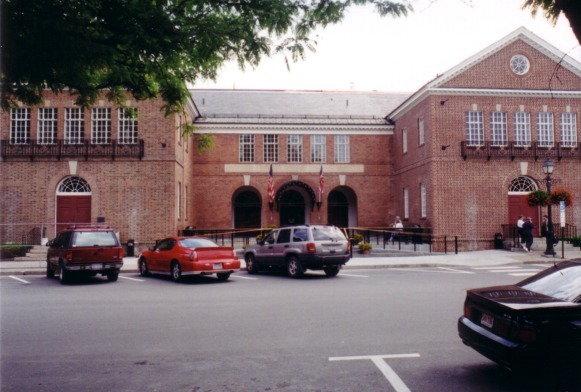 The next day we went to Cooperstown, NY to see the baseball hall of fame. This is how it looks from the outside. They were doing some major renovations inside and we didn't get to see everything; just 3 of the 4 floors. 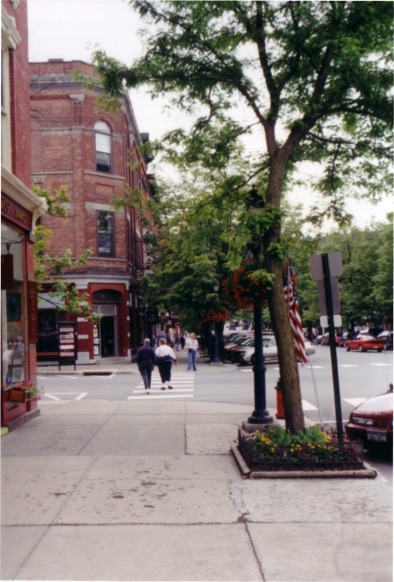 Cooperstown is a quaint, pretty town. We walked everywhere. 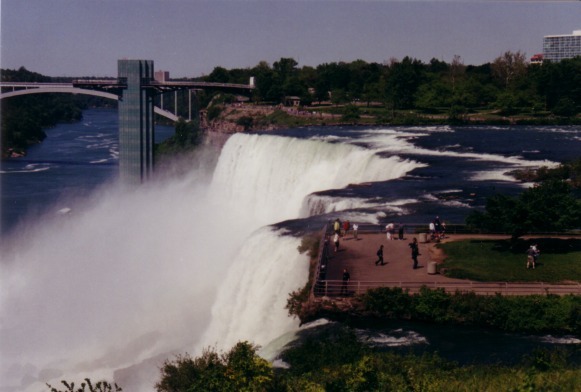 The next day we drove over to Niagra Falls. 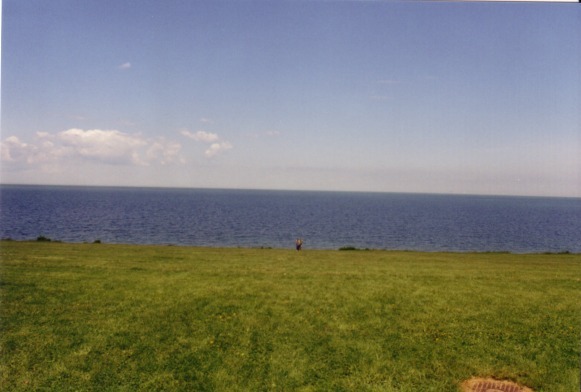 But on the way, we skirted along Lake Ontario. Here, we stopped at a park with a beautiful green meadow that sloped down to the pretty blue water. Unfortunately, you can't see in this photo what we could see with the naked eye. We could see the skyline of Toronto on the other side of the lake over 30 miles away! I had no idea you could get so close to the water's edge! 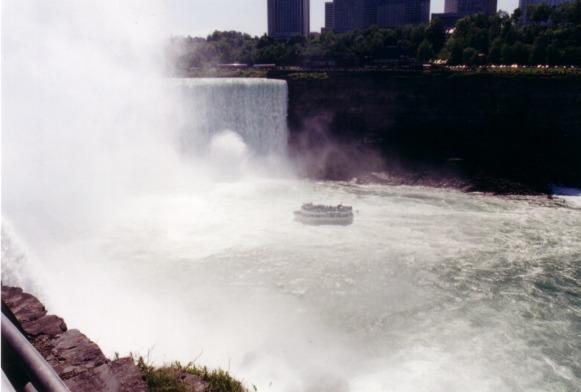 You can see the boat taking tourists into the mist of the falls. We did not do this on this trip. The buildings in the background are on the Canadian side. 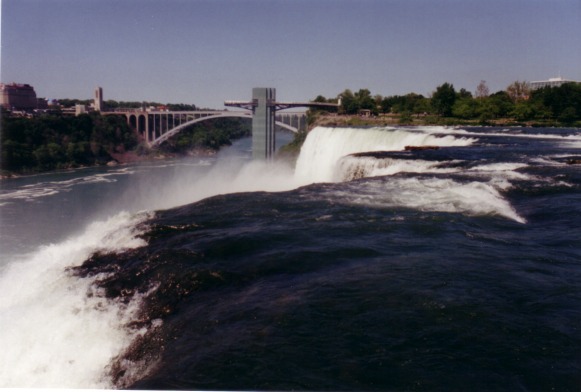 Next we went to Cleveland, OH to see Cuyahoga National Park. 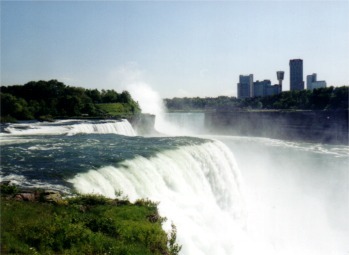 It's amazing to me what they call a national park in Ohio. It had one nice 30 foot waterfall, but that's all. It looked to me like some politician got some pork money. 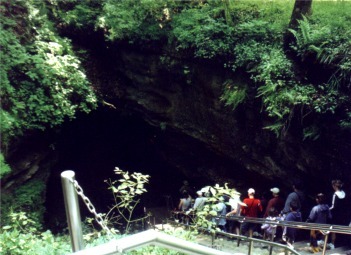 The last day we went see Mammoth Cave in Kentucky. 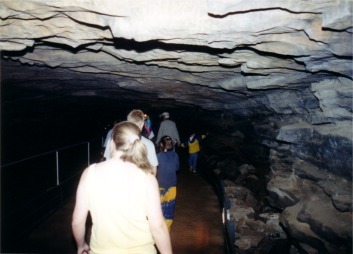 Here is the walkway down into the cave entrance. Here's a shot of us walking through a passageway.